Observation - Plaice - UK and Ireland. 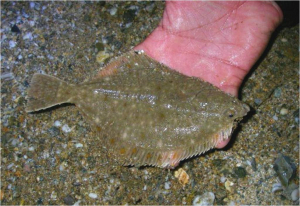 Description: Plaice caught in a seine net like the bass posted earlier. This was caught at night and returned immediately after photographing. Plaice caught in a seine net like the bass posted earlier. This was caught at night and returned immediately after photographing.